Despite recent reports that Madonna‘s charity, Raising Malawi, is under investigation by the authorities, her rep. state exclusively that this isn’t the case. The non-profit, co-founded in 2006 by the Material Girl and partner Michael Berg, aims to promote sustainability and provide valuable resources to the 2 million orphans in the African country. While sources have reported that construction on a school being built by the organization has been halted while Raising Malawi is being investigated for mismanagement of funds, nothing could be further from the truth. “In recent days a number of wild and totally false rumors about Madonna’s philanthropy — spread by bloggers and tabloids — have begun appearing on the Internet. 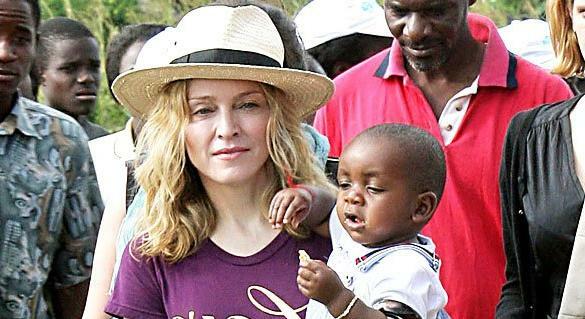 As we have said previously, Raising Malawi is currently undergoing a series of positive changes in an effort to serve more children,” Madonna’s rep. said. In October, the singer-actress flew out to Malawi, where her children David and Mercy where born, to visit the Raising Malawi School for Girls.